Oh my! It's almost 2 months since the last time I post something here in my blog. Well, the past few months had really been an awesome! First, my cousins went home for a vacation here in the Philippines. We enjoyed so much all the fun activities we did. (I'll have a post about that soon!). Second, I and my family went to Bangkok, Thailand for the second time around. It was indeed a very memorable trip and to mention, I had an awesome shopping experience! Definitely one of the best places to shop for cheap yet fashionable clothes. And I am so excited to share with you guys pictures of our trip plus the stuffs I bought there. Third, I and my sister recently opened our new online shop called Laces and Bows. It's on facebook so if you have an account do check us. We our currently on our 2nd collection. I am extremely happy that the 1st collection did so well. It's actually sold out already! Here's some of the pictures from the shop. Go check our online shop on Facebook! 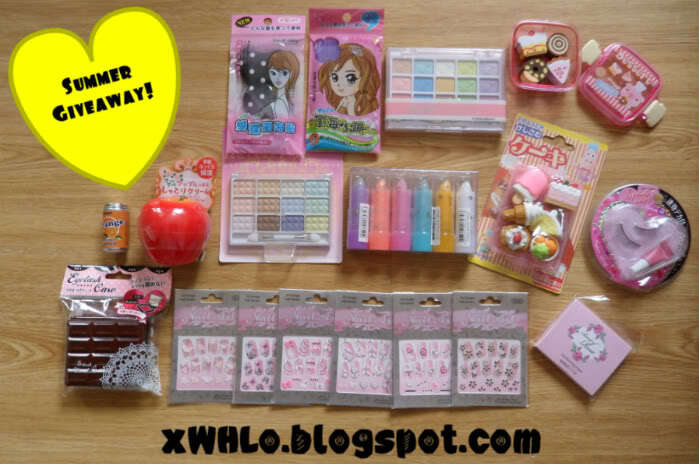 Lastly, Wei han of xwhlo emailed me saying that I won her blog giveaway. It's actually my first time to win a contest here in the blogosphere world. Super happy. Here's what I won. I hope I'll get it before Christmas time, definitely the perfect gift.